1. 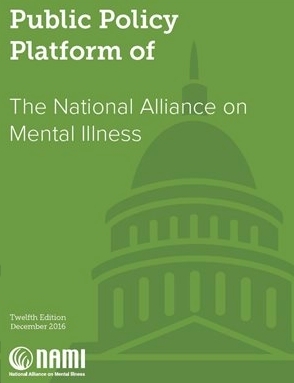 Efforts to Decriminalize Addiction Must Include Mental Health—In light of the opioid crisis, this most recent publication highlights the links between substance use, mental illness, and police involvement. With this budget amendment, NAMI Mass proposes the creation of a statewide Center of Excellence in Community Policing and Behavioral Health that will serve as a clearinghouse of best practices in mental health and substance use response and provide 40hour Crisis Intervention Team (CIT) trainings. These trainings give first responders the necessary skills to respond effectively to behavioral health crises. 2. Supporting Law Enforcement: Effective Training & Collaboration — this explains training options NAMI would like to make available to pollice and first responders and other relevant legislation.